GEV Projects were earlier known as Kakatiya Builders in Vijayawada. They have built their name strong over several decades of hard work and sincerity. Recognising that the complete process of owning a home is a source of joy to the owner, they made a mark in building apartment complexes. As they have grown, they have been associated with new entrepreneurs, incorporating the new approaches of sustainable systems and practices successfully. Their new name and their revamped business approach has made apartments from GEV Projects a dream to possess. They have grown steadily in the last few years and catered to different segments of the society. Their past experience and feedback from customers have been the motivation to strive to become more efficient with their expertise and execution. They have partnered with like minded partners with whom they have successfully executed various projects. GEV projects are strategically placed at the focal points of Andhra Pradesh, namely, Vijayawada, Rajahmundry and Visakhapatnam. One of their luxurious projects, GEV Radha Madhav is located in Vijayawada. 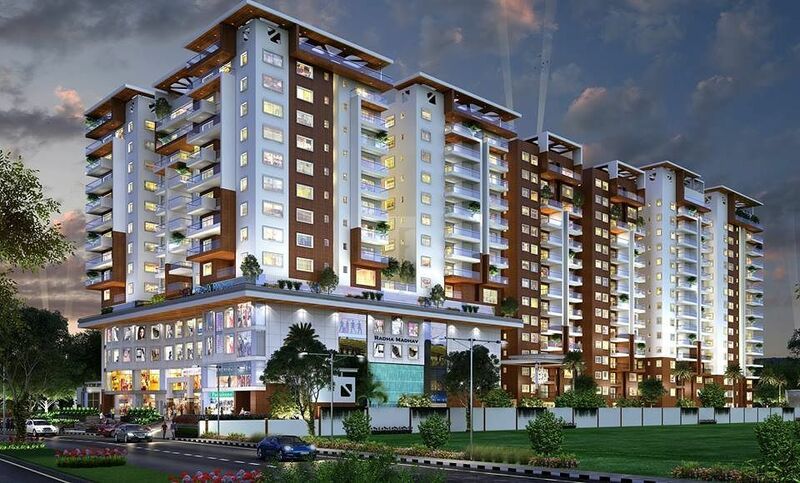 They strive to bring the most modern amenities quality lifestyle into their living spaces. GEV is all set to create astounding living destinations with a number of upcoming projects down the line. They uphold the vision to provide valuable services to the homeowner, to build partnerships and to deliver functional, affordable and substantial experience in building spaces to be called home.